We manage the procurement of any 3rd party equipment or other services needed to complete your project, and these become an integrated part of our validated solution. We offer automation assistance to enable integration of 3rd party process equipment, for which we use our proprietary state-of-the-art C-BIO™ software control platform. 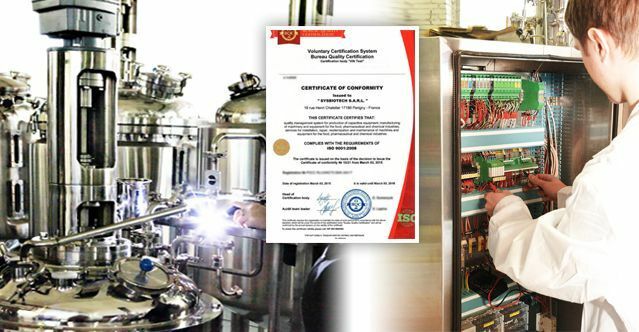 C-BIO was designed to control up to 6 fermentors and bioreactors from 1 central location anywhere in the world. However, other automated process equipment can be integrated, and different C-BIO controllers can be networked so that complete production sites and even different facilities around the world can be controlled from 1 location. SYSBIOTECH offers assured quality and expert assistance throughout the entire lifecycle of the product, which includes updating, upgrading, retrofitting, automation, integration and/or expanding production capacity of your current equipment and utilities in order to comply with your changing requirements. Our assistance is also offered to end-users of fermentors or bioreactors not originally supplied by SYSBIOTECH. SYSBIOTECH is an ISO 9001:2008 accredited company and we manufacture equipment strictly in accordance with GLP, GMP and GAMP. To ensure that our customers benefit from the latest technology, we use only the best quality materials from global brands such as from Hamilton, Siemens™ and Phoenix Contact™ and the best design tools like AutoCAD™, SolidWorks™, Siemens Solid Edge™, Wonderware™ and iFix™. We build, test and validate all equipment parts and functionality to make sure it meets your expectations and requirements. Our modern and regulatory compliant manufacturing facilities house all the capabilities needed for completion of the manufacturing, testing and documentation of all equipment, in accordance with the relevant regulatory standards and your requirements. Upon request we can also update, customize or expand your used equipment to meet your changing needs. We follow a thorough quality assurance process during the entire production process. A comprehensive Factory Acceptance Testing (FAT) procedure is completed prior to shipment of the equipment. You are welcome to visit this FAT at our facilities to witness that all specific requirements have been fulfilled as specified, and that all corresponding GMP compliant documentation is accounted for. Our global team of software and hardware designers and mechanical engineers have more than 20 years of experience in design, manufacturing and commissioning of industrial pilot scale and full production scale projects all over the world. SYSBIOTECH is committed to offer quality products and services to our global customers. We want to collaborate with you in close harmony and we are ready to share our experience and product technology. You are welcome to contact us with any process related request for information or support. Kindly visit our “Contacts” page to identify the SYSBIOTECH representative closest to you. We look forward to serving your needs in the near future! 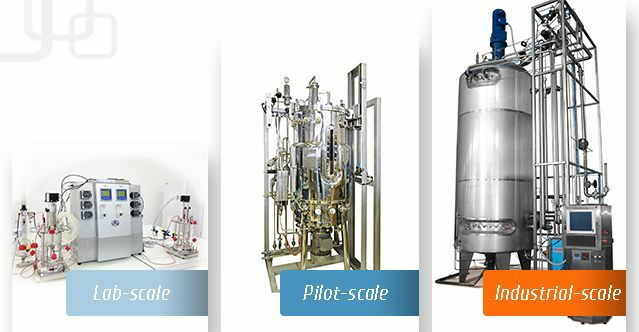 Our fermenters/bioreactors will help you develop any biotechnological process and to facilitate the scaling-up!